I can't have enough of the colors of this outfit, it's something I love to wear. This cardigan is a staple in my wardrobe, and just like every year I will be showing you a few Smash! pieces I chose for the season. I have a special relationship with this brand from Barcelona, with an excellent quality for their price. Smash! online shopping is easy and fun, and sales up to 50% are already going on, in case you feel like splurging a little. Casual doesn't mean shabby, and preppy delivers a timeless elegance. What do you think about preppy style? Non mi stancano mai i colori di questo outfit, è qualcosa che mi piace indossare. Questo cardigan è un classico del mio guardaroba, e come ogni anno vi mostro qualche capo Smash! scelto per la stagione. Ho un rapporto speciale con questo brand di Barcellona, con un'eccellente qualità per il prezzo. Lo shopping online Smash! è facile e divertente, e ci sono già i saldi fino al 50% nel caso vogliate approfittarne. Casual non significa trasandato, e lo stile preppy trasmette eleganza senza tempo. Che ne pensate dello stile preppy? Questo Look ti dona moltissimo e non tutte saprebbero portarlo !!! Ahhhh I am totally in love with this Outfit, as always. I adore the bright Colors and the combination of classy and yet casual and cofy is amazing. So inspiring. Che spettacolo questo look, una combo di colori che rende chic anche il look più casual!! 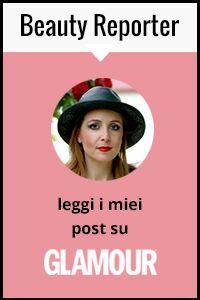 Perfetta in ogni dettaglio come sempre! Lovely preppy look. The sweater is beautiful. Hi Vale. While visiting two fellow bloggers this weekend, we asked each other which blogger we most like. I said that you are the best-dressed blogger I know and explained how much I admire your clothes. In my book, you're number one!